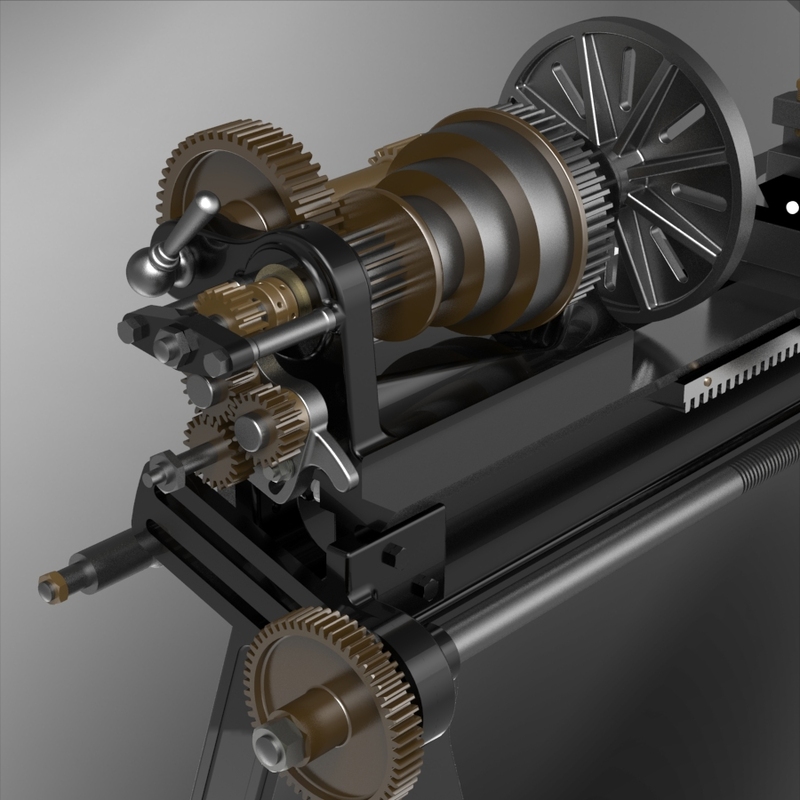 When I came across the original 1879 drawings for this lathe in a book titled Machine Drawing and Design, self-published by William Ripper in 1879, I knew I had to model it. 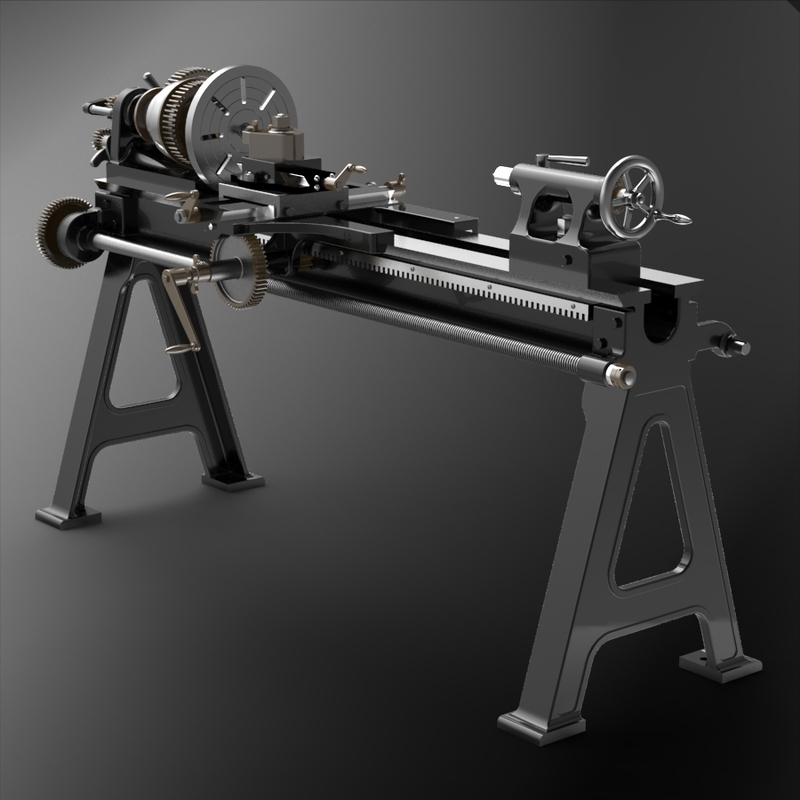 It's the classic machine tool of the late 19th Century, and is the type found in countless machine shops worldwide. 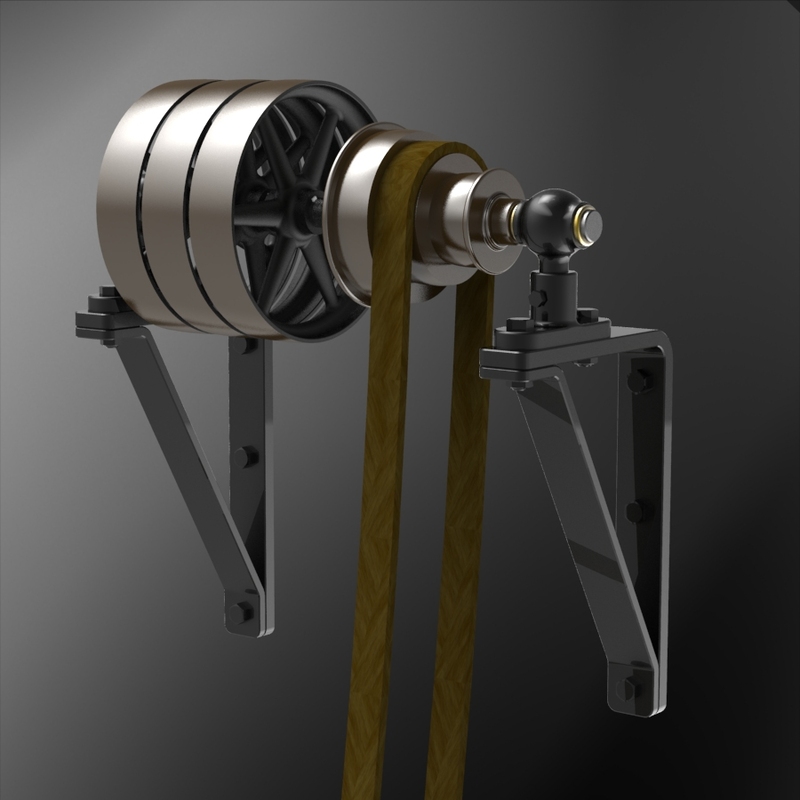 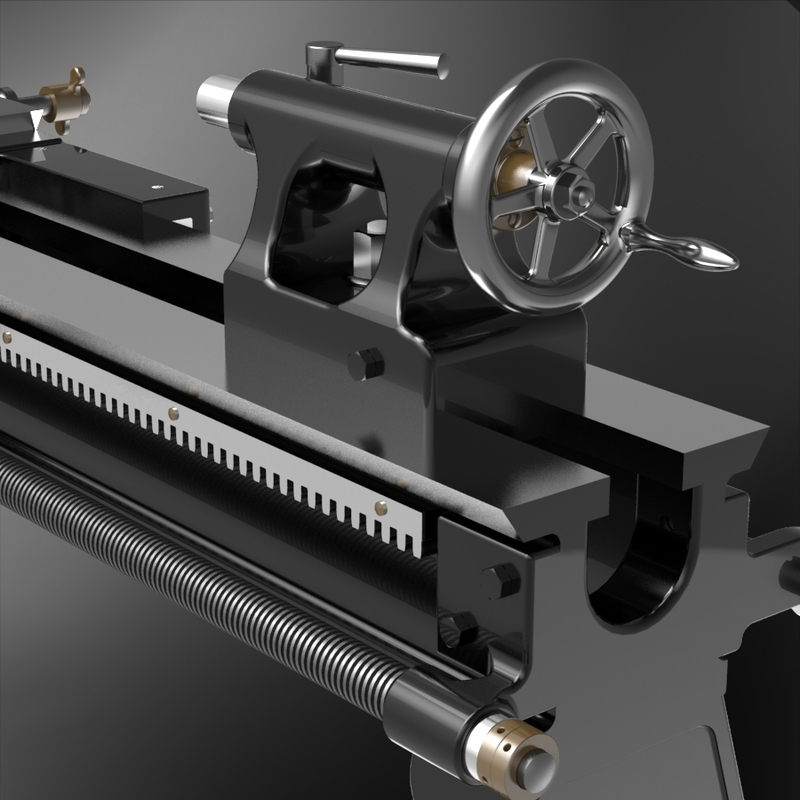 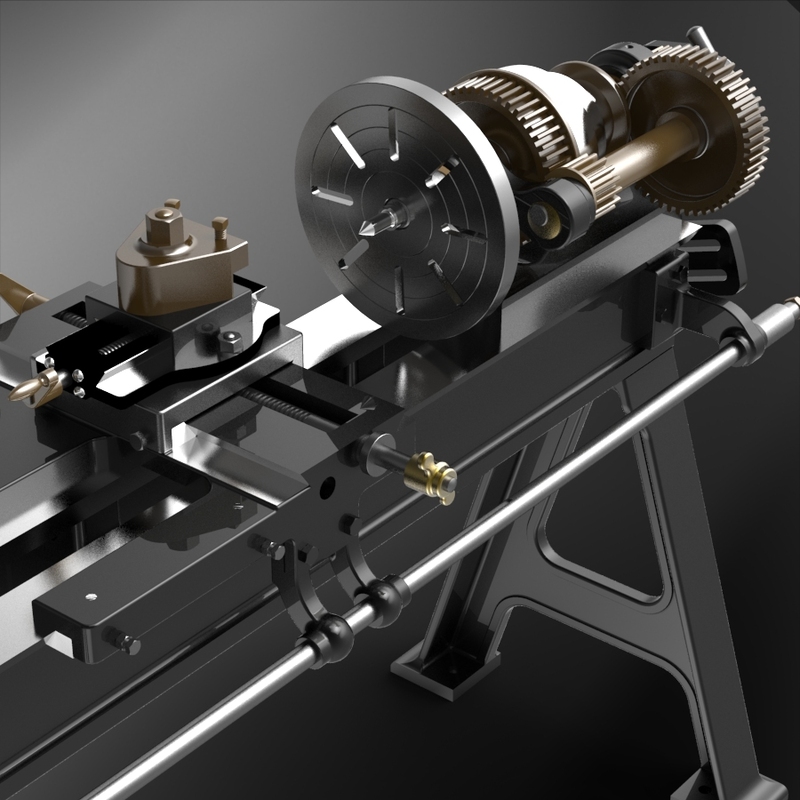 My SolidWorks model is an accurate reproduction of a 14" swing by 40" centers belt driven "Engine Lathe", fitted with back-gear for slow speeds, and equipped for screw cutting. 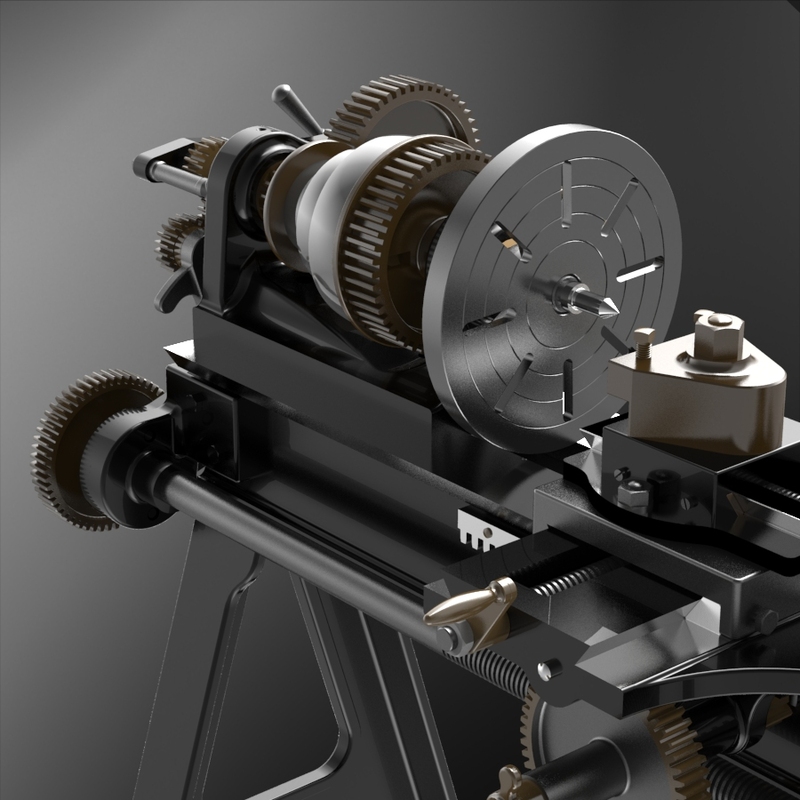 It is rendered in KeyShot 3 Pro. 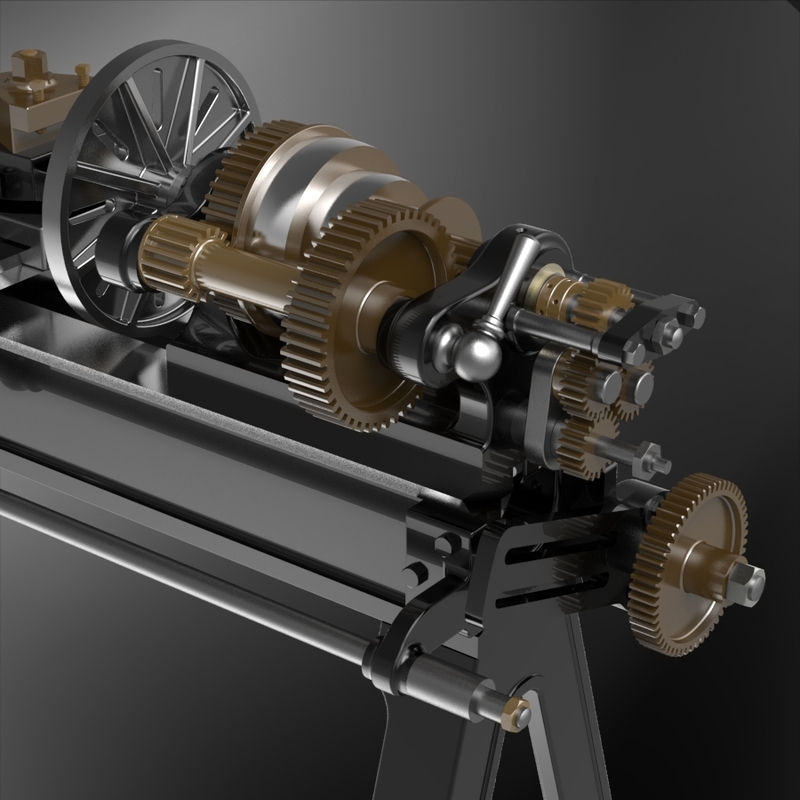 The same book included part-by-part drawings for my 7"x7" twin Simple Steam Launch Engine. 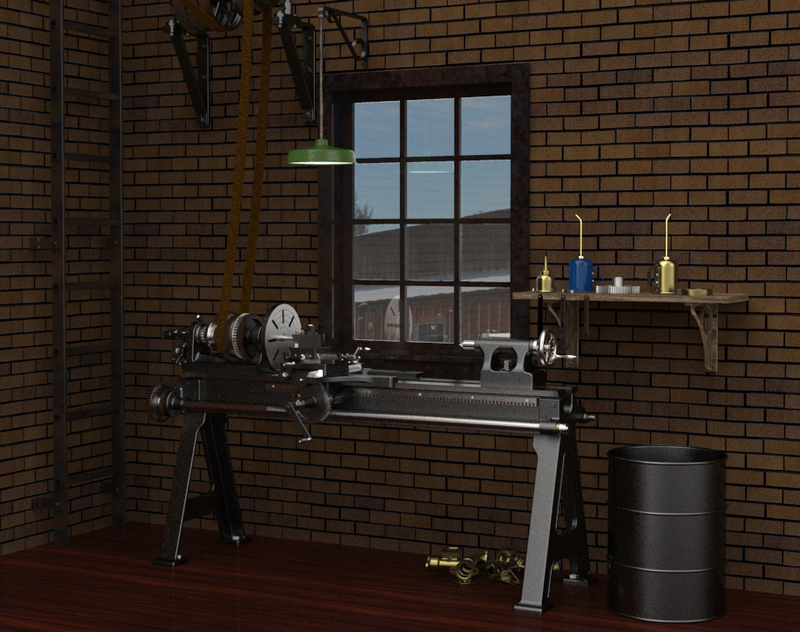 It was a classic textbook for the education of young engineers and draftsmen, circa 1879.